Zinedine Zidane "never left" Real Madrid according to Brazilian wonder kid "Casemiro", who lauded the Frenchman after his reappointment as the club manager. Ex Madrid Star player and coach "Zinedine Zidane" quit Madrid after guiding the European giants to a third successive Champions League title last season, however, he returned this month after the club has gone through crisis. Real Madrid turned to Zidane following the sacking of head coach Santiago Solari amid the club's La Liga struggles and Champions League last-16 exit. "Our coach is an icon of the club. Not only as a player but also as a coach. 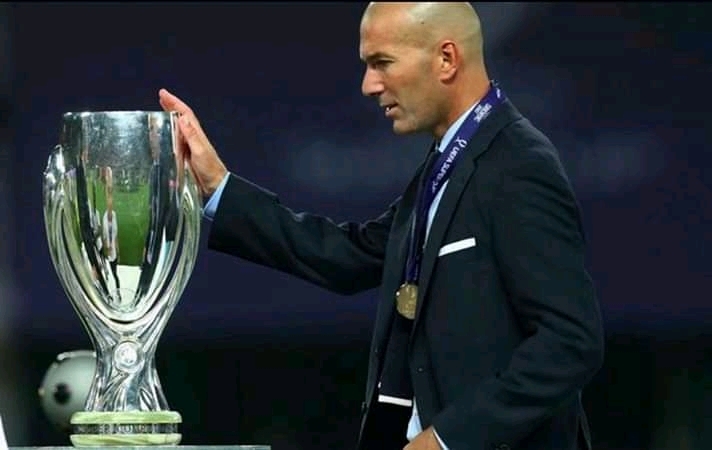 "Zidane has shown that he is more than a coach. For the team, Zidane never left - he left his way of playing. He surely suffered with us at this time and that's why he returned. Zidane hadn't left." Zidane won his first match back prior to the international break a 2-0 victory over Celta Vigo at the Santiago Bernabeu.